Our Management Team brings decades of experience creating and delivering innovative solutions to the energy industry. Annette Verschuren is Chair and CEO of NRStor Inc., an energy storage development company. Formerly she was president of The Home Depot Canada and Asia, overseeing the growth of the company’s Canadian operations from 19 to 179 stores between 1996 and 2011. She also led The Home Depot’s entry into China. Ms. Verschuren began her career as a development officer with the Cape Breton Development Corporation, a coal mining operation, in Sydney, Nova Scotia. She then worked with Canada Development Investment Corporation as executive vice-president, privatizing crown corporations, before joining Imasco Ltd., one of Canada’s largest holding companies in financial services, retail and food services, as vice-president, corporate development. Immediately prior to joining The Home Depot, Ms. Verschuren was president and co-owner of Michaels of Canada, a chain of arts and crafts stores, where she opened 17 stores in 26 months. Ms. Verschuren is a board member of Liberty Mutual Insurance Group of Boston, Air Canada, Saputo and Canadian Natural Resources Limited. In addition, Ms. Verschuren is a board member of CAMH Foundation and the Rideau Hall Foundation and the MaRS Discovery District. Additionally, Annette Verschuren sits on the federal government’s Science Technology and Innovation Council. She co-chairs the Smart Prosperity Initiative which is mapping out a course to a stronger, cleaner economy for Canada. In 2011, Ms Verschuren was honoured as an Officer of The Order of Canada for her contribution to the retail industry and Corporate Social Responsibility. In 2010, she was appointed co-chair of the 2012 Governor General’s Leadership Conference, Canada’s premier leadership training event. A champion of community investment and volunteerism, Ms. Verschuren serves as Chancellor of Cape Breton University and chaired fundraising efforts for the University’s new Verschuren Centre for Sustainability in Energy & the Environment (VCSEE). Ms. Verschuren holds honorary doctorate degrees from six universities including St. Francis Xavier University, where she also earned a Bachelor of Business Administration degree. Annette Verschuren recently wrote a business book “Bet On Me”, leading and succeeding in business and in life, published by Harper Collins. Ms. Verschuren and her husband, Stan, live in Toronto, Ontario. She returns frequently to her familial roots and long-time home in Cape Breton, Nova Scotia. As General Counsel of NRStor Inc. Jennifer leads all legal, human resources and compliance-related matters. Her role spans a number of areas of the business, including leading the negotiation and drafting of key agreements, serving as Secretary on the Board of Directors and working with the business team to oversee the day-to-day operations of a project that provides frequency regulation service to Ontario’s electricity grid. Prior to joining NRStor, Jennifer Manning served as Senior Legal Counsel at Infrastructure Ontario, a world-leader in large infrastructure projects where she led negotiations of the Eglinton Crosstown project and the Humber River Hospital project. Jennifer started her legal career at Torys LLP in the Project Finance group and holds a JD from the University of Ottawa, and a BA Honours from Western University where she was a gold medallist. Jason Rioux has a proven track record in developing and operating all forms of energy projects, especially carving new paths through complex energy markets, contracting, regulatory, and political environments. As Chief Development Officer of NRStor, Jason leads the operations and business development activities across Canada and internationally, and thrives on the challenge of marrying new storage technologies with new commercial business models — a key success factor in developing energy storage projects. Previously the Director of Business Development for Ontario Power Generation, Jason led a wide variety of business development initiatives and played a large role in decarbonizing the Ontario power sector. During his time at OPG, Jason worked on the repowering of coal plants to natural gas and biomass, new gas fired generation development, combined heat and power development, partnership management of joint venture gas fired facilities ­Brighton Beach and Portlands Energy Centre, advanced biomass research and development, and new technology projects such as energy storage. Jason served as Commercial Manager of the Portlands Energy Centre, a 550 MW natural gas fired generation station located in downtown Toronto. He developed and led the commercial organization of this $730 million facility, with responsibility for all gas and power trading activities. Katherine Peretick has a diverse set of technical experience. Previously at General Compression, a high-tech compressed air energy storage startup company, Katherine led project engineering for the company’s first commercial project. She also found and evaluated new project opportunities and developed models to prove functionality, reliability, and profitability of the unbuilt machine. In prior roles Katherine was part of the leadership development program at Vestas, and a reliability engineer for the Mars rover, Curiosity, during her time at NASA’s Jet Propulsion Laboratory. Dan is an energy expert with experience designing, developing and operating clean energy projects across Canada; he brings 11 years of clean technology experience to NRStor. 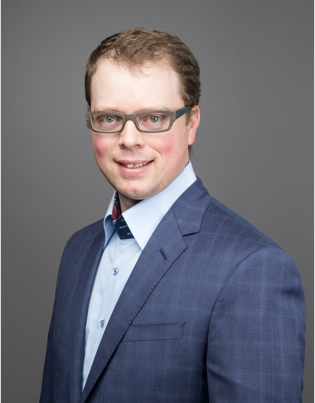 Previously at TransAlta, Dan was regarded as the corporate expert in emerging renewable energy technologies, and has served as a panelist on energy storage and new technologies at IPPSA, Alberta Power Symposium, and Carbon Management Canada conferences. He advised senior management regarding disruptive technologies and drove initiatives leading to TransAlta’s entrance into solar via a 21 MW portfolio acquisition. He originated, and managed development of the 10 MW Alberta wind-sited Tesla battery project, winning $11 million of CCEMC funding toward the initiative. Dan is becoming increasingly involved in Calgary’s innovation community, having contributed to Innovate Calgary’s Greentech Mentor program, and will continue to work with government and community stakeholders to assess and promote new energy solutions. While employed at ENMAX, Dan gained experience with hydroelectric and wind plant operations, project management and business development. Geoff has played a pivotal role at NRStor, having joined the company when it was founded in 2012. He is primarily focused on identifying business development opportunities, overseeing project management & operations, securing investment, and strategic planning. Geoff has led several major utility infrastructure initiatives and has extensive experience working on battery, flywheel, compressed air energy storage (CAES) and renewable energy projects. Geoff has also worked to help advance electricity regulatory policy and enable the increased adoption of energy storage across Canada. 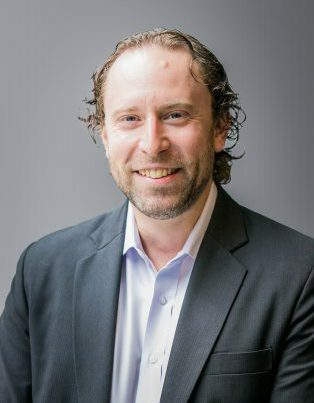 Geoff sits on several industry working groups and holds advisory positions with the Ontario Energy Association, Energy Storage Canada, the Building Energy Innovators’ Council, Ryerson University (CUE), and Royal St. George’s College. In 2016 Geoff was presented the Canada Clean50 Award as an outstanding contributor to clean capitalism and named to the World Energy Council’s Future Energy Leaders’ program. 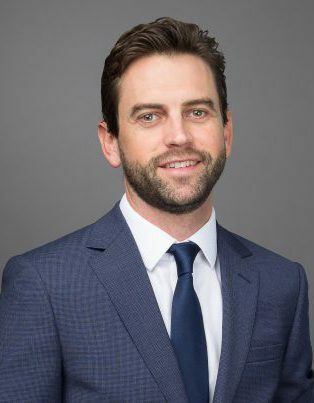 Geoff holds a Master of Laws (energy & infrastructure specialization) from Osgoode Hall Law School and a Bachelor of Science (Honours) from Queen’s University. As Senior Analyst of Engineering and Projects at NRStor, Shivani plays a key role in assessing project opportunities and understanding the technical and economic aspects of projects. She is primarily focused on developing utility-scale and remote microgrid projects. Prior to NRStor, Shivani worked to develop biogas projects in Ontario and California and discovered her passion for cleantech while working at a plastics recycling startup. Shivani also has experience working in finance as an investment banking analyst in Calgary, and in R&D doing polymer engineering research in China. Shivani completed a dual degree in Green Process Engineering and Business Administration from Western University. In 2015, she was selected as a Venture for Canada Fellow – one of the top 30 recent grads in Canada showing an aptitude for entrepreneurship and leadership. Colton Martin joined the NRStor team in 2014. He specializes in small-business book-keeping and is now in charge of the book-keeping and accounts for NRStor as well as Energy Storage Canada. Allison Blunt spent 10 years as Internal Communication Manager for Home Depot Canada prior to joining NRStor. Allison has held positions as Financial Analyst for BMO, Office Manager at Zeno Editions UK and Compensation and Benefits Manager for Zurich Insurance Canada. Allison volunteers her time with Lupus Ontario along with other members of her family. Mike brings to the team 12 years of business development, sales and operations experience in the solar industry. He has experience building large distribution/installation networks for emerging energy technologies throughout Canada and Australia. In addition, Mike was directly involved with the supply and operational role out of 10,000+ residential solar hot water/PV systems to end customers. NRStor’s experienced Board of Directors helps to guide our direction. 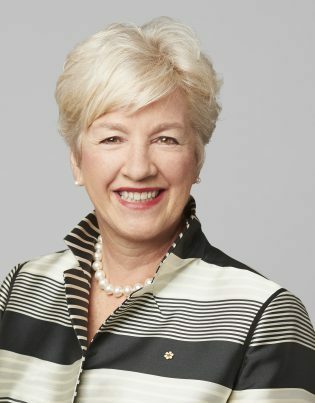 Known as a ‘builder’, Annette Verschuren has taken her wealth of experience and unique and well-rounded skill set in finance, operations and leadership and applied it to a diverse array of public, private and non-profit ventures throughout her career. Annette was formerly president of The Home Depot Canada and Asia, overseeing the growth of the company’s Canadian operations from 19 to 180 stores between 1996 and 2011. She also led the company’s entry into China while simultaneously leading the Expo Design Center business. Annette began her career as a development officer with the Cape Breton Development Corporation, a coal mining operation, in Sydney, Nova Scotia. She has held various executive positions with Canada Development Investment Corporation and Imasco Ltd and served as president and co-owner of Michaels of Canada. Annette sits on the board of directors for Liberty Mutual Insurance Group based in Boston, Air Canada, and Saputo. Annette serves as a member of the North American Competitiveness Council and was appointed Chair of the Ontario Clean Energy Task Force by the Province of Ontario in April 2012. Annette also gives her time as a board member to the Centre for Addiction and Mental Health Foundation (CAMH) and the Conference Board of Canada. Most recently, Annette agreed to serve on the Federal Government’s Expert Panel for the Venture Capital Action Plan and recently was appointed as Chair, Annette also sits on the Board of Canadian Natural Resources Ltd. In 2011, Annette was honored as an Officer of The Order of Canada for her contribution to the retail industry and Corporate Social Responsibility. The Order of Canada is the highest civilian honor in Canada. 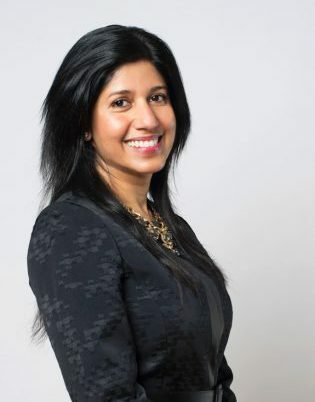 Sarita has over 15 years of private equity, structured finance and investment banking experience. She has been involved in raising over USD $2 billion of debt and equity financing for companies in a wide range of industries. As an investment banker with UBS and Deutsche Bank AG, she advised companies on growth and expansion strategies, executed balance sheet restructurings and performed both buy and sell side M&A mandates in domestic and cross-border settings. While at GE Capital’s private equity and structured finance groups, Sarita sourced, evaluated, negotiated, executed and monitored debt and equity investments in early stage, mature and distressed opportunities. She worked most recently with Equifin Capital, a private equity firm in New York focused on growth and expansion investments in the US and is currently a Director of NRStor. Sarita holds an MBA from the Wharton School of Business. Omar Khalifa joined Fengate in 2018 and works in Fengate’s private equity investment business. Omar is responsible for originating, evaluating and executing private equity investment opportunities domestically and internationally. 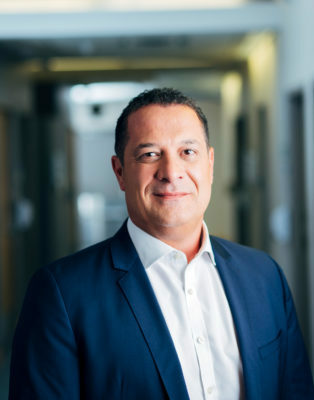 Prior to joining Fengate, Omar was a Director in the Private Markets Group at OPTrust. He has worked both in Toronto and London, UK where he focused on sourcing, executing and asset management of a number of private equity and infrastructure transactions across North America, Europe, Asia and Australia. 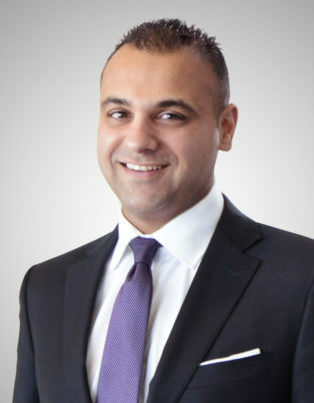 Prior to OPTrust, Omar worked at BMO Capital Markets. Omar holds a Bachelor of Business Administration from Wilfrid Laurier University. Mr. Neil J. Petroff was an Executive Vice President of Investments and Chief Investment Officer at Ontario Teachers’ Pension Plan since 2009, and previously served as Senior Vice President of Investments since 2008. Mr. Petroff served as Senior Vice President of International Equity Indexes, Fixed Income, and Alternative Investments at Ontario Teachers’ Pension Plan and also served as its Vice-President of International Equities Indexes, Fixed Income, and Foreign Exchange since 1997; and Vice President of Core International since 1995. He was responsible for the management of major asset classes and portfolios including the public equities, private capital, fixed income, infrastructure, tactical asset allocation, foreign exchange, commodities, and alternative investment portfolios. Mr. Petroff was responsible for all aspects of firm’s investment activities as well as the pension fund’s asset-mix and risk allocations, and its real estate portfolio managed by its subsidiary. He joined it in 1993. Mr. Petroff has been a Member of the executive management team for its Investment Division for 12 years. He worked at The Royal Trust Company and Guaranty Trust Bank Plc. Mr. Petroff began his career in investing at the Bank of Nova Scotia. He has been Vice Chairman of Northwater Capital Management Inc. since October 1, 2015. Mr. Petroff serves on several corporate and charitable boards including Maple Partners Bankhaus GmbH, the Integra Foundation, and Samsung Investment Trust Management Co. Ltd. Mr. Petroff has been a Director of SeaCube Container Leasing Ltd. since April 24, 2013. 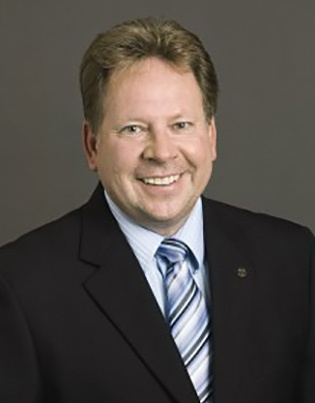 He served as a Director at The Cadillac Fairview Corporation Limited. He served as Director at Efficient Capital Corporation. He served as a Director of Maple Financial Group Inc. Mr. Petroff has been recognized for innovative hedge fund portfolio management. He earned an M.B.A. and a B.B.A. from York University. Kim Warren has had a long and distinguished career in the Ontario electricity sector, retiring from the Independent Electricity System Operator on January 1, 2017. During his time at the IESO Mr. Warren held positions including Vice President of Market and System Operations and Chief Operating Officer, Director of Planning and Assessments, Manager of Regulatory Affairs and Manager of System Operations. Mr. Warren was responsible for areas such as the management of the IESO administered markets, directing the operation of the power grid, interconnected system operations, renewable integration, coal retirements and IESO activities surrounding alternative technologies. He was also an active member on numerous industry based working groups, chairing several, including the North American Electric Reliability Corporation, the Northeast Power Coordinating Council and the Canadian Electricity Association. Mr. Warren was also a Director on the Board for the Northeast Power Coordinating Council (NPCC) from 2014 to 2016.